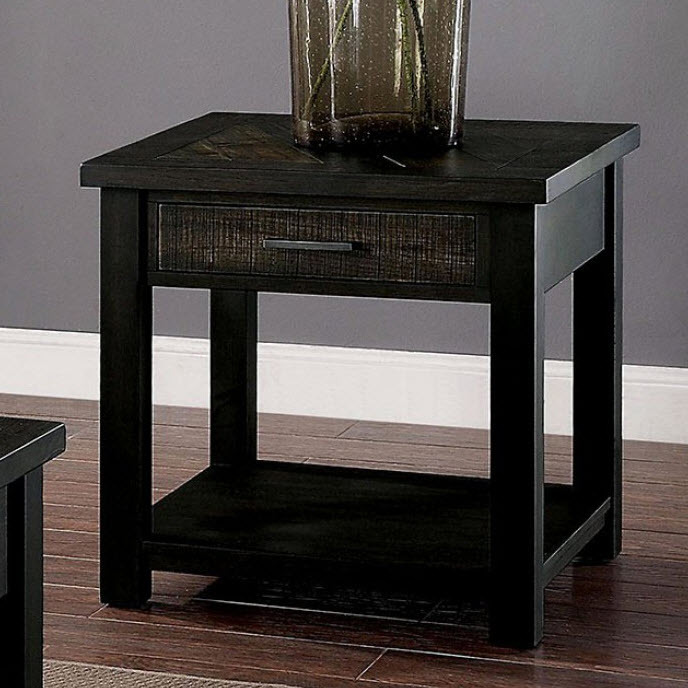 Dark and handsome, these occasional tables offer a stunning visual accent to your living room. The plank paneling looks rustic with its deep wooden grain and roughed nature, but that only enhances the appeal of the set. The deep toned wood compliments the colors of a room.